Far West Rice is a family owned and operated company specializing in the milling and marketing of high quality, diverse rice varieties, most notably medium and short grain varieties. C. William Johnson founded the Northern California milling company in 1985. With deep roots in agriculture, Johnson was versed in rice cultivation but wanted to explore how grains in the field transformed to a memorable culinary experience. Memorable culinary experiences start with imagination in the kitchen paired with carefully selected, fresh, natural, ingredients enjoyed with good company. A time honored grain like rice is no exception. 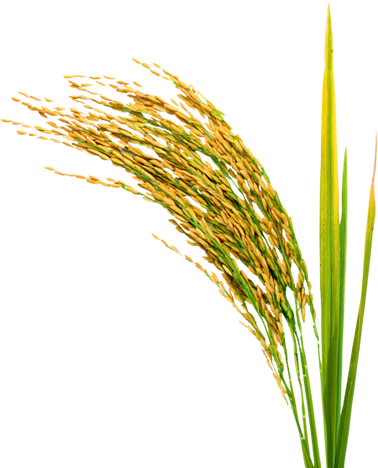 To carve out a level of noteworthy quality specific to the rice market, the young mill developed a unique niche apart from the farming operation with a focus on selection and specialization. Today Far West continues to evolve as we improve processes, work with diverse, select quantities of rice optimizing our mill for memorable quality. We are a full service specialty mill, working with domestic and international customers in the areas of retail grocery, foodservice and food manufacturing. Far West Rice is not able to exist or grow without our customers. We are extremely fortunate to work with a diverse group of customers both domestically and internationally. It is clear to us - the integrity of our rice is in direct relation to the integrity of our service and customer relationships. Being a small specialty mill allows us to take the extra step to personalize our service and learn how each customer defines their service expectation. We thank our customers for their support. With less than 50 employees, FWR is considered a small team by industry standards. To our staff, this is understood to be one of our greatest strengths. We are not a collection of jobs and titles but rather a community of professionals committed to making the best product possible for our customers. Each member of our community is charged with giving their maximum effort and passion for high quality in our products and customer relations. Far West Rice is a "just in time" mill. The "just in time" or "mill to order" approach allows us the opportunity to provide our international and domestic customers the freshest rice available. Therefore we do not store product. We mill "just in time" per order received. After an order is received, we schedule to receive paddy (or rough rice), mill, pack and ship the finished product promptly. High quality is our focus and delivering fresh product supports this objective.